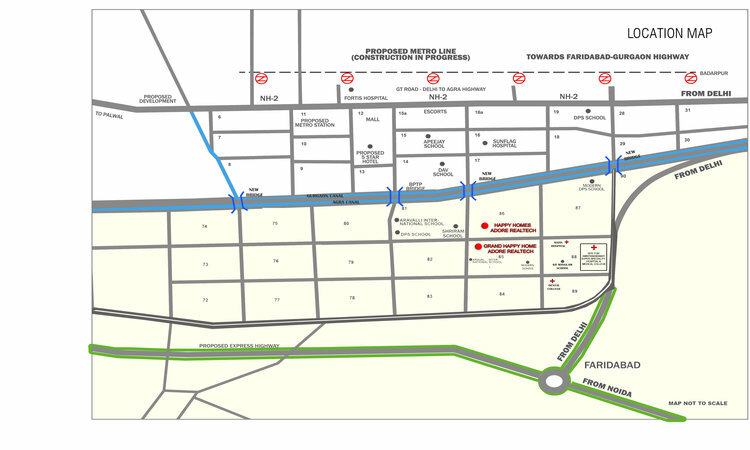 Adore Samridhi is an affordable housing residential project in sector 89, Greater Faridabad (Neharpar). After the great success of last three project adore happy home, adore happy home grand & Adore Villas, now Adore Realtech launched 'Adore Samriddhi'. This residential project spreads in 6 acres. Total no. of flats is 888 with combination of 2 bhk ( 2 Bhk Flats in Adore Samridhi is - 488 ) and 3 bhk ( 2 Bhk Flats in Adore Samridhi is - 400). Total no. of floors is S+14 and Total no. of tower is 15. 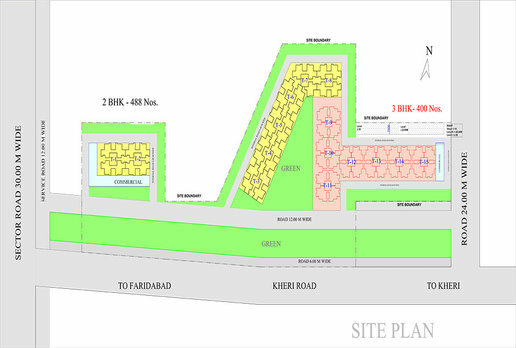 Adore Samriddhi is situated at prime location main kheri road & 30 meter wide road and located near on 6 lane, 75 meter wide road, FNG expressway (Faridabad-Noida-Ghaziabad). Adore Samriddhi have two types 2 Bhk & 3 Bhk and sizes such as 570 sq.ft & 645 sq.ft with 100 sq.ft balcony area. 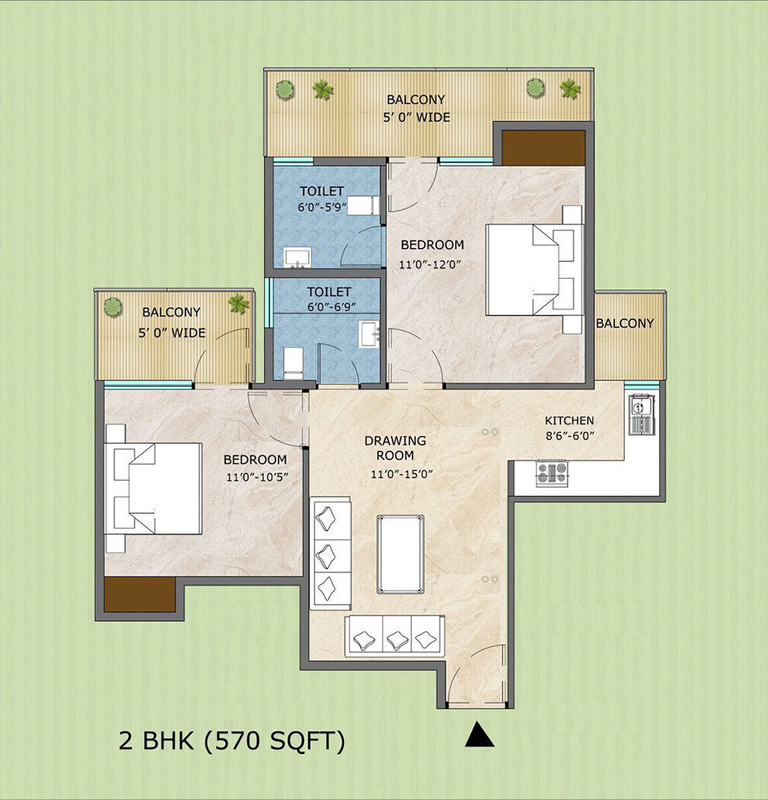 Adore Samriddhi 2 bhk have 2 big room size (11 sq.ft x 12 sq.ft. with cup board) & (11 sq.ft x 10.5 sq.ft. with cup board), Drawing / Living Area size is (11 sq.ft x 15 sq.ft. ), Kitchen area size is (6 sq.ft x 8.6 sq.ft. )2 Toilet area sizes is ( 6 sq.ft. x 6.9 sq.ft.) with 2 balcony 5 sq.ft. wide. 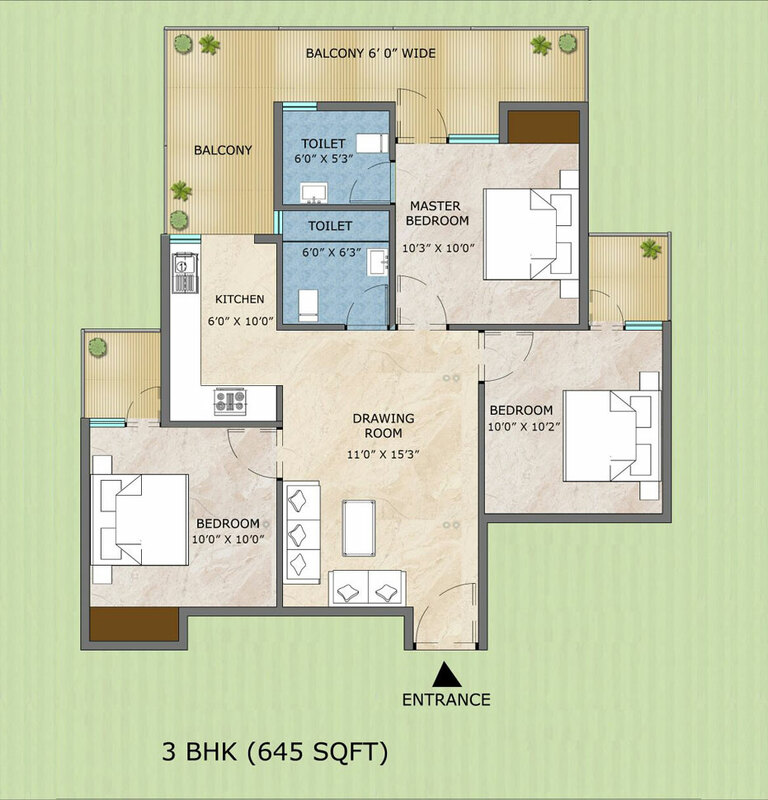 Adore Samriddhi 3 bhk have 3 room sizes such as (10.3 sq.ft. x 10 sq.ft. with cup board), (10 sq.ft. x 10.2 sq.ft) & (10 sq.ft x 10 sq.ft. with cup board), Drawing / Living Area size is (11 sq.ft. x 15.3 sq.ft. ), Kitchen area size is (6 sq.ft x 10 sq.ft. ), 2 Toilet area sizes is (6 sq.ft x 5.3 sq.ft) with 6 sq.ft. wide balcony area. Price of Adore Samridhi Start from 2 Bhk is 23.30 lacs to 3 Bhk is 26.30 lacs. All leading bank provide loan for this affordable project like SBI, HDFC, ICICI , PNB etc. 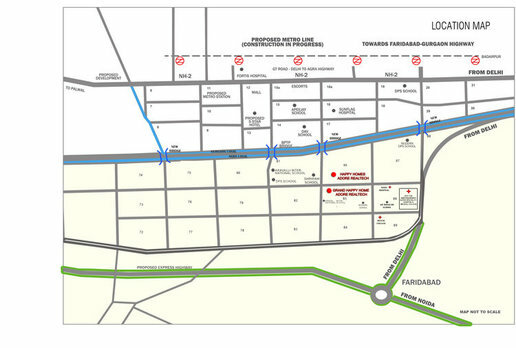 Adore Samridhi is available with Construction Link Plan 5% booking amount of total flat. Booking Amount for 2 bhk is 1 lacs and 3 bhk is 1.25 lacs. Construction of this project start very soon and possession will be delivered in 2022. Super Area 570 Sq.Ft. 645 Sq.Ft. Copyright © 2018 www.adoresamridhifaridabad.in All rights reserved.